Simon Jones’s insightful study conveys the danger and uncertainty of underground warfare beneath the trenches of the Western Front. Concentrating on the British experience, Jones does not neglect mine warfare in the French sector, and combines personal testimony with a lucid account of the technical challenges to present an all-encompassing insight into the extraordinary experience of subterranean warfare. Simon Jones’s graphic history of underground warfare during the Great War uses personal reminiscences to convey the danger and suspense of this unconventional form of conflict. 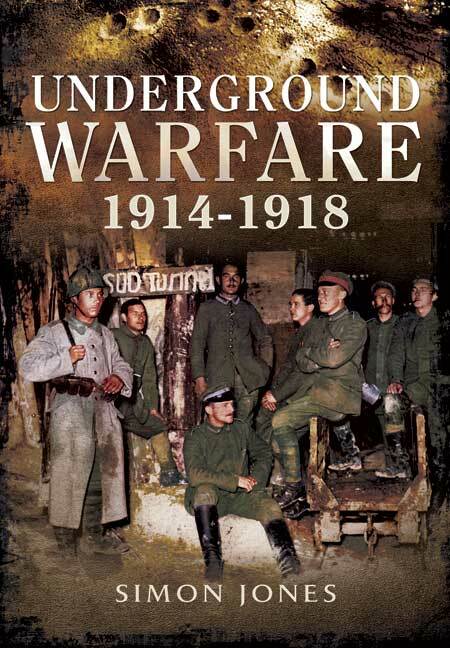 He describes how the underground soldiers of the opposing armies engaged in a ruthless fight for survival and supremacy, covers the tunnelling methods they employed, and shows the increasingly lethal tactics they developed during the war in which military mining reached its apotheosis. While he concentrates on the British tunnelling companies on the Western Front, his wide-ranging study also tells the story of the little-known but fascinating subterranean battles fought in the French sectors. Vivid personal testimony is combined with a lucid account of the technical challenges – and ever-present perils – of tunnelling in order to give an all-round insight into the extraordinary experience of this underground war.